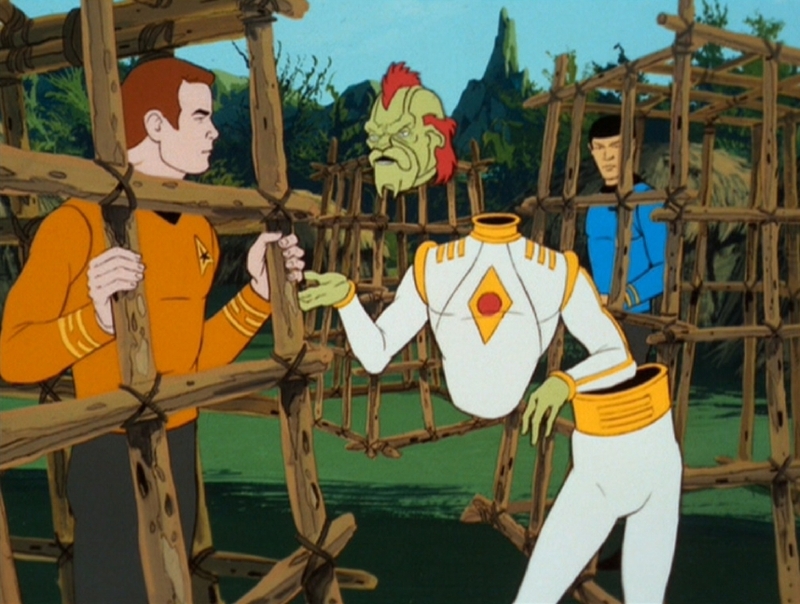 Animated STAR TREK - "Bem"
On a series of exploratory missions with Commander Ari bn Bem, a representative from the newly-contacted planet Pandro, the U.S.S. Enterprise encounters a planet of primitive natives under the guardianship of a noncorporeal being. This episode's author, David Gerrold (pictured), also wrote another animated STAR TREK episode "More Tribbles, More Troubles". He also wrote the original STAR TREK series episode "The Cloud Minders." David Gerrold recently said that both "Bem" and "More Troubles, More Tribbles" were originally written as possible episodes for the original STAR TREK's third season. He said that Gene Roddenberry asked him to write the tribbles sequel, but that it was dropped when the show changed management. In the mid-eighties, Mr. Gerrold helped Gene Roddenberry create STAR TREK: The Next Generation. In this episode, Kirk's middle name was first revealed to be Tiberius. His middle name was mentioned again in STAR TREK VI: The Undiscovered Country (1991). During the original series it was not known what his middle initial, "T", stood for. When hostilities are not anticipated or for diplomatic missions, Starfleet regulations allow Type-I hand phasers be carried by landing party members. 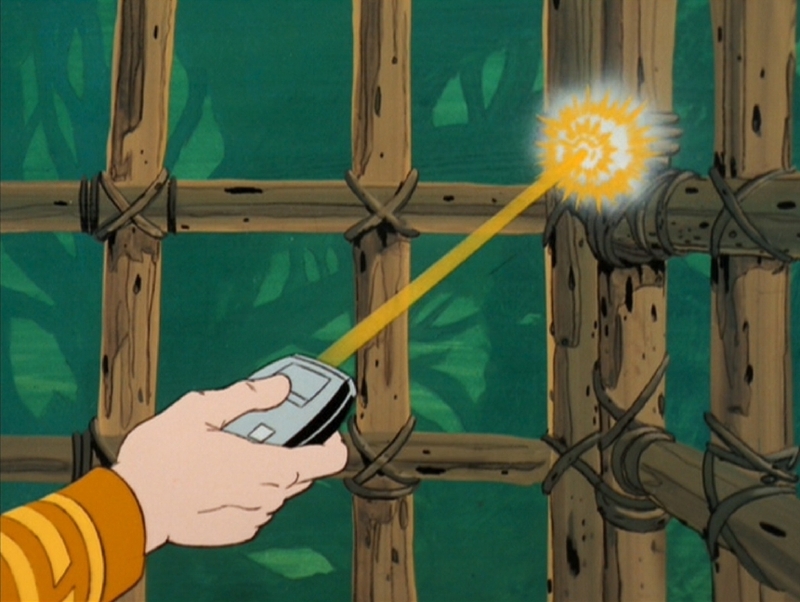 These are more inconspicuous and less destructive than Type-II pistol phasers. This episode's story of the Enterprise crew running afoul of a godlike entity that watches over a planet inhabited by a technologically primitive people was essentially similar to the November 1987 STAR TREK: The Next Generation episode "Justice." This animated episode, like "The Lorelei Signal", had some good parts for actress Nichelle Nichols. First, she provided the powerful and commanding voice of the godlike entity, and second, Uhura had a good scene on the bridge when she stood fast and refused to allow Scotty to remain on the planet because it violated the captain's orders. 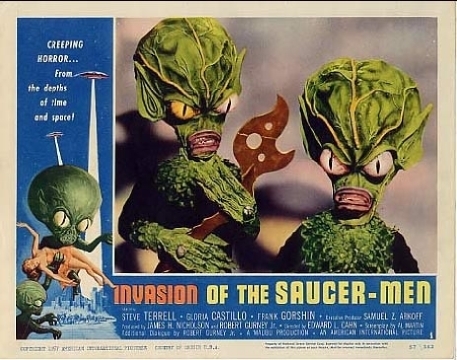 The name Bem comes from an acronym for "Bug Eyed Monster" a term made popular in the 1950's to refer to the stereotypical sci-fi alien which had large bulging eyes such as the aliens in the 1957 sci-fi film "Invasion of the Saucer-Men" (pictured). The director credit associated with this episode was Hal Sutherland on the episodes as originally aired on television in the 1970's, 1980's and 1990's and as released on video tape and laserdisc. However, the DVD release of the animated series in 2006 changed the opening credits to indicate that Bill Reed was the director of this episode. In fact the credits of "The Pirates of Orion", "The Practical Joker" and "Albatross" were similarly modified to list Bill Reed as director. Up until November 2006, it was generally believed that Bill Reed only directed the final two episodes, but in fact he directed the final six. An interesting note, in this episode, Bem mentions that Starfleet Command told his people, the Pandronians, that James Kirk was the "best captain in the fleet." We all knew that, but it is nice that Starfleet realized it as well. The character of Bem and the reptilian aborigines would have been nearly impossible to do convincingly in a live action series. They are perfect examples of the kinds of alien life-forms that could be brought to the screen in an animated series. No explanation was given in the episode as to how Bem's disconnected head and torso were able to float and move about in midair. Transporter Chief Kyle appeared in this episode, but he had no dialogue. "Bem" was novelized by Alan Dean Foster in Star Trek Log Nine published by Ballantine Books in February 1977. The entire book was devoted to this one episode.